February is knocking on the door and with it comes the most romantic holiday of the year - Valentine's Day. And while you may be looking for a gift for your beloved ones, retailers are looking at yet another rise in sales - both online and offline. It is true that the recession might still have some lingering effects on the shopping behaviour of the consumers, but the last Holiday season proved that things are getting better and the future for retailers is bright indeed. After a better-than-expected start of the year, this Valentine's Day seems to be just as promising. The forecast indicates that the overall spending is about to jump with about 13% over last year. Of course, the most popular gifts will be flowers, jewelry and candy. The trends from recent years show that we can count on a yet another increase in the percentage on online sales as well. That is why the availability and performance of their sites is bound to be a primary concern for the major retailers. Traditionally, WebSitePulse is monitoring ten of the most popular online shopping destinations for the 2012 Valentine's Day. The measurement results from the transaction monitoring reflect the performance levels and the availability of the ten websites related to the increased Internet traffic during the period. This information is helpful to analyze the End Users' shopping experience, the reliability of the IT infrastructure of the Internet retailers, as well as their estimated losses in case of downtime and unavailability of critical websites, web pages, web systems, network devices, and web applications. Continuous website monitoring for all ten Internet retailers covers the period February 1 through February 14. The reports and charts are updated daily showing the results from the previous day and for the entire monitoring period to the current date. 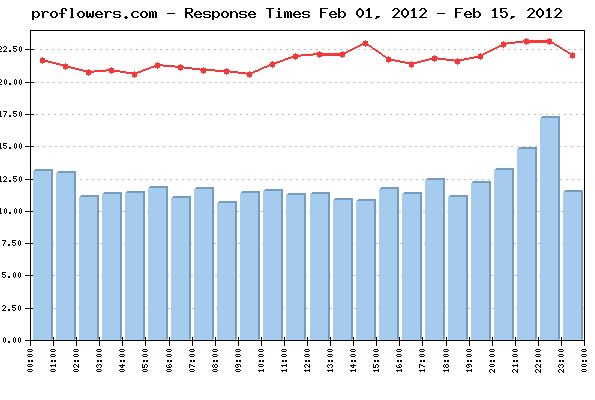 The daily Average Response time from all monitored websites was 15.515 sec. The Average Response time as measured from the US East Coast (Washington, DC) was: 14.906 sec. The Average Response time as measured from the US West Coast (San Francisco, CA) was: 20.260 sec. The Average Response time as measured from the US Central (Chicago, IL) was: 11.379 sec. 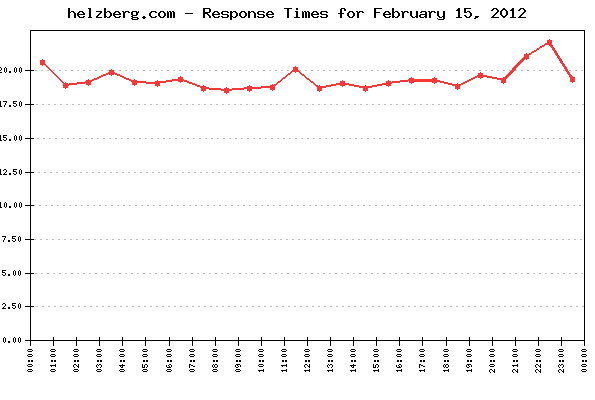 The Best Response time measured from US East Coast: 0.000 sec. The Best Response time measured from US West Coast: 0.000 sec. The Best Response time measured from US Central: 0.000 sec. The typical shopping transaction took the least time for proflowers.com visitors - 0.000 sec., while the visitors of candy.com had to be the most patient, as the shopping transaction there took in average of 48.087 sec. 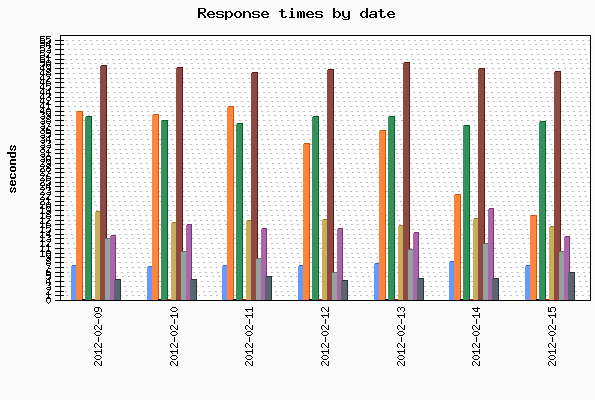 Three of the monitored websites delivered above-the-average response times for their transactions, while seven of them demonstrated below-the-average daily performance. Eight websites' availability was above the average, while two sites dragged the average down with below-the-average availability. No events of particular importance or possible negative impact on the online visitors' interaction with the Websites included into the 2012 Valentine's day report were detected during the reported period, and according to WebSitePulse, the Group delivered the expected levels of End-User experience and Customer satisfaction. The 2012 Valentine's Day Reports reflect a complete fullpage web transaction, representative for the End Users' interactions with a website. The reporting period covers the dates between February 1 and February 14, 2012. Performance and availability measurements are made for a typical multi-step web transaction at 15 minute monitoring interval, every day 24/7. The WebSitePulse application monitoring service is used to collect data and to create the reports.